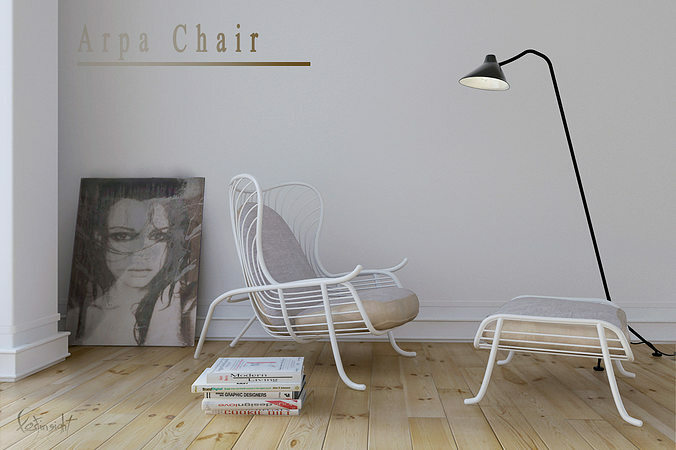 Classification type: modern minimalist chair. What's inside: A white coated steel frame, very good design and shape and a realistic vray materials for leather fabric and metal. 3D software use: 3D StudioMax-2010 and further improved in Mudbox for detailed surfaces. Compatible with 3dsmax 2009 up to the current verion and vray 1.5 up to current version.